She took part in the editing of Dielo Trouda, the magazine set up by Ukrainian anarchist Nestor Makhno and Russian Peter Arshinov. She fell out with the group in 1928. The reason she gave was that she was excluded for performing religious rites. On the death of her father, Meyer Gilman, she had lit a candle. But other reasons have been given. She helped Makhno edit his memoirs, she suggested changes which Makhno refused, and they fell out, Ida refusing to make up. She had met him Nicolas Lazarevitch in the Dielo Trouda group, they became companions and jointly edited the paper La Liberation Syndicale. They began to organise campaigns exposing the situation of the working class in Russia. Meetings were held in France, Belgium and Switzerland. On November 25th 1928, following one of these campaigns, they were expelled from France. They moved to Belgium and lived there until 1936 with 2 years spent in France (illegally) and in Spain. They met anarchists Ascaso and Buenaventura Durruti in Belgium. On their invitation, Mett and Lazarevitch addressed several large meetings in Spain. 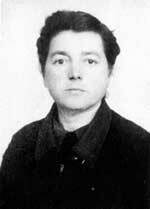 She attended the May 1st celebrations in Barcelona in 1931 with Volin as representatives of the Russian movement. Mett offered her medical knowhow after shooting broke out there, which resulted in Ascaso being wounded in the arm. Ida wrote about her experiences in the revolutionary Syndicalist paper La Revolution Proletarienne, edited by Perre Monatte and others. Mett was active in anarchist and antimilitarist circles in Belgium. She took up her medical studies again, and got her diploma but she was not allowed to practice as a doctor in either Belgium or France. Together with Jean De Boe she and Lazarevitch edited the bimonthly paper Le Reveil Syndicaliste (only one issue of which appeared, thanks to their expulsion) and were charged on a number of occasions for their activities. Mett and Lazarevitch returned to France in 1936, living illegally at Pre Saint Gervais. All attempts at naturalisation were refused, and neither received it right up to their deaths, receiving only stay permits handed out reluctantly. Arrested again in the 8th May 1940, they were imprisoned. Ida and her 8 year old son Marc were sent to the detention camp at Rieucros until April 1941. They got a transfer to Marseilles planning on leaving for the USA. This was refused. Thanks to Boris Souvarine, one of their friends, they were able to take refuge at la Garde Freinet in the Var department, but under surveillance. They then relocated to Draguignan until spring 1946. Ida was secretary of the gas workers union in 1936 at the local workers’ centre, or bourse de travail. From 1948 until 1951 she worked as a doctor in a sanatorium for Jewish children at Brunoy. From the beginning of the 1950s until her death she worked as a technical translator in the chemical industry. She brought out her famous book The Kronstadt Commune in 1938. This was republished by the Spartacus publishing house in 1948 and re-awakened controversy over the events. She also wrote the important study The Russian Peasant in the Revolution and Post Revolution which appeared in 1968 again published by Spartacus. Another work, Medicine in the USSR appeared in 1953. She also contributed to a special edition of the journal Est et Ouest (East and West) in 1957, on European communism since the death of Stalin alongside Souvarine and others. With Lazarevitch she wrote The Soviet School in 1954. She died in Paris on 27th June 1973.